Pumpkin Parades in Toronto – November 1, 2016 | Kids in T.O. Give your pumpkins one more night to shine. 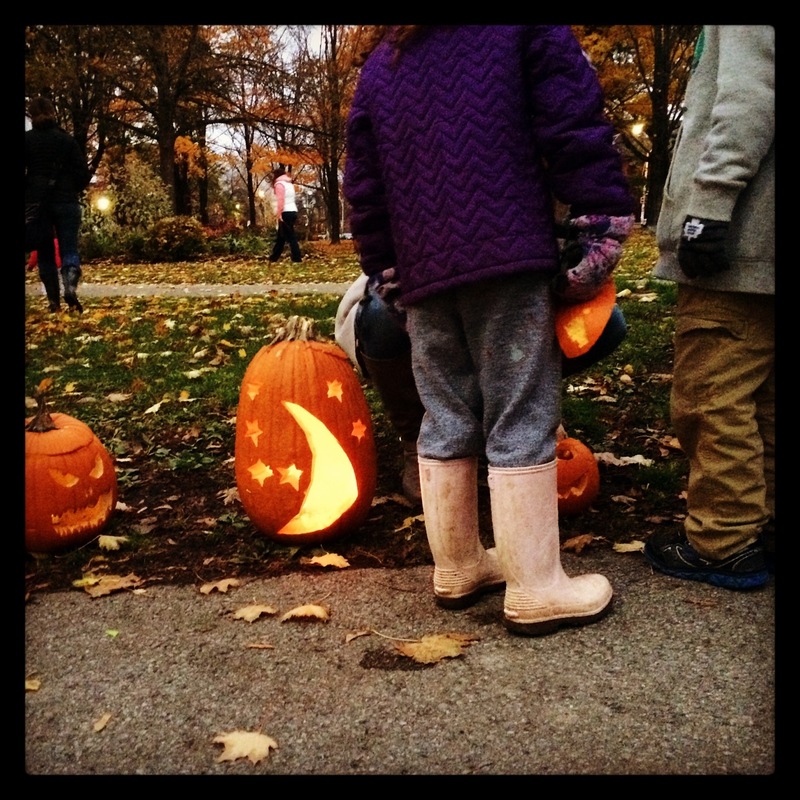 A record number of 34 Pumpkin Parades will be lighting up parks across Toronto on Tuesday, November 1, 2016, ranging from 10 little guys to displays of close to 1,000. You can bring your jack-o-latern creation to one of these neighbourhood gatherings in the map below. And the City of Toronto will pick them up the next day. Last year, they collected 43.65 tonnes of pumpkins post-parades.